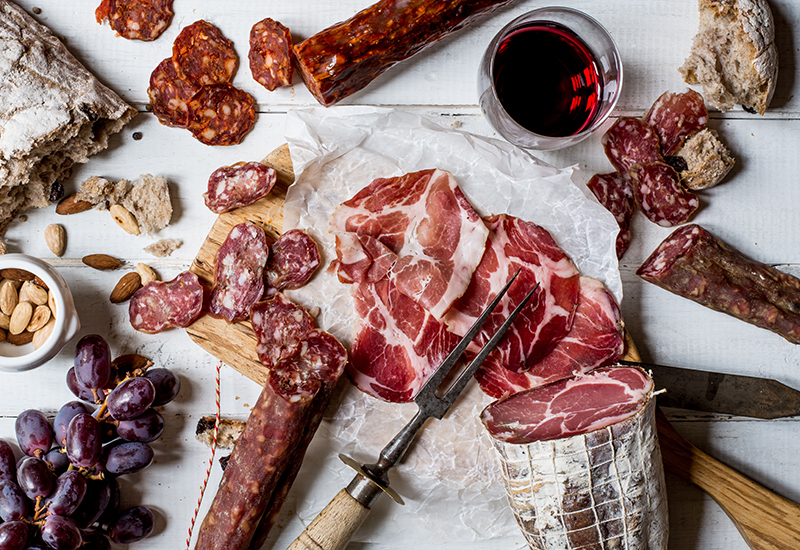 The ‘craft’ revolution has hit beer and bread, now British charcuterie is having a moment. 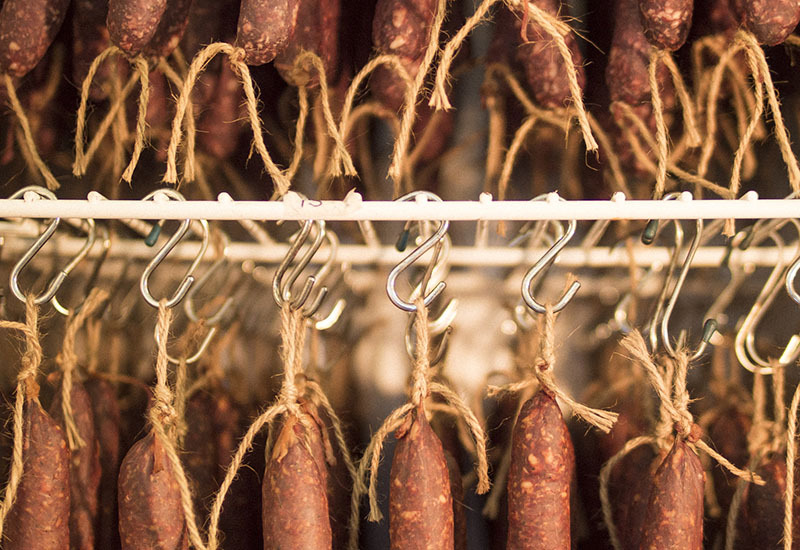 Hugh Thomas meets the British cured meat-makers who’ve gone from hanging sausages in their sheds to taking on the world. Miracle cure: British charcuterie board with Coppa, Pork Chorizo Picante, Fennel & White Pepper Salami, Blue Vinny & Fig Salami by The Real Cure. 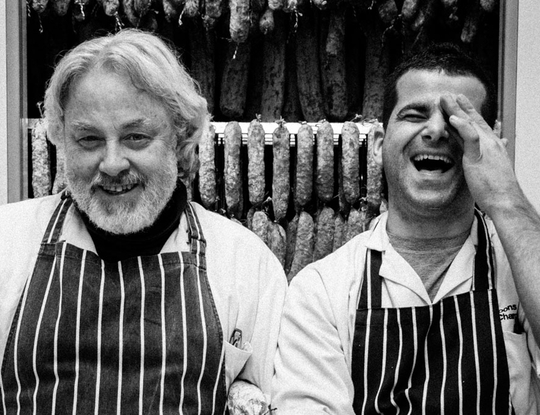 In May, Borough Market will host the first ever British Cured Meat Festival. It promises to be no small matter – up to 320 cured meats will be entered, while the event is put on in partnership with the Guild of Fine Food, and the judging panel will include household names in British cuisine, such as José Pizarro, Dan Doherty, and Sabrina Ghayour. It marks a crescendo in the British charcuterie movement, which started gaining momentum a decade ago. Back then, ‘British’ and ‘charcuterie’ weren’t two words commonly paired. But something changed. 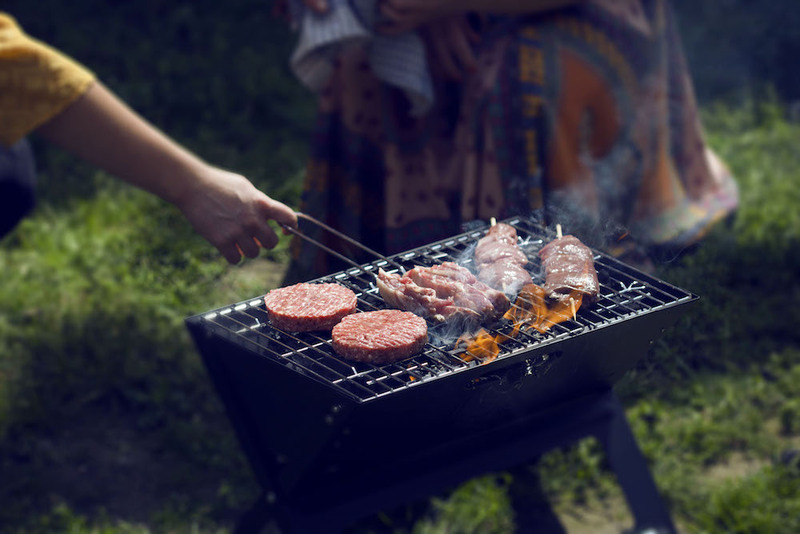 New appreciations for spending more to get more, a want for fewer food miles and an emphasis on localism, and an expanding consciousness for animal welfare contributed to a meat curing boom. And of course, Brits invariably return from holidaying in Spain or France with saucisson or jamón ibérico tucked under the arm. In Britain, where ten years ago there was a handful of charcuterie producers, there now totals somewhere in the region of 300. Why were we late in recognising the virtues of cured meat? 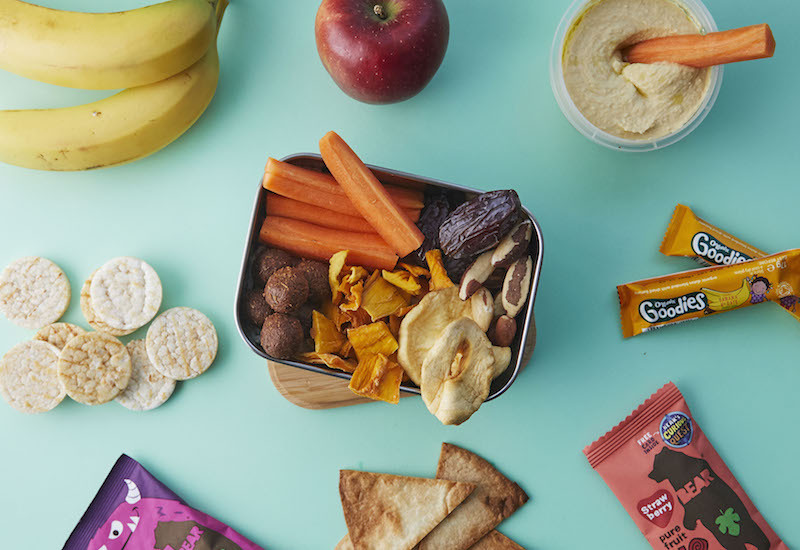 Charcuterie has been a part of British food culture for centuries, if not millennia. Traditionally, when a pig was ripe for slaughter, to feed a family it would need to be preserved for as long as possible, or at least throughout the winter. Since this was well before refrigeration, the animal would be butchered and the moisture drawn out of it by adding salt, thereby removing the potential for spoilage. Not a Spanish tapas bar: wild venison salamis hanging waiting to be smoked at The Real Cure’s smokehouse. 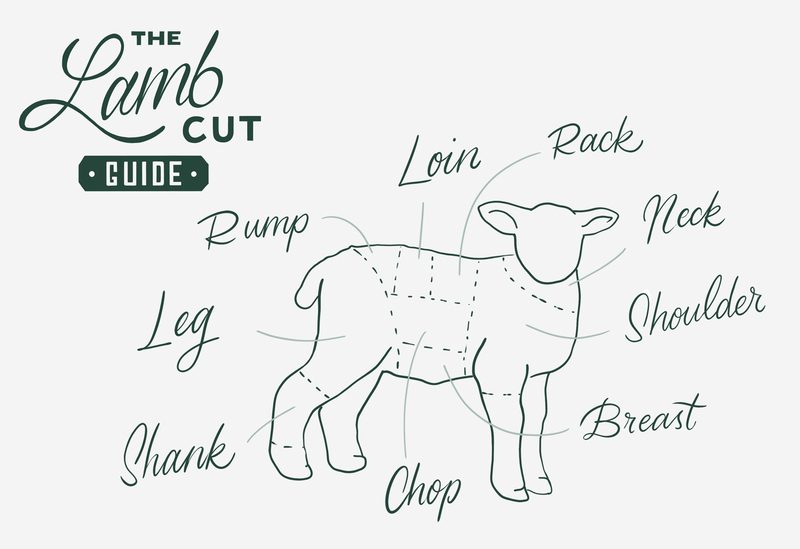 The meat was hung to dry, and over the course of several months would gradually dehydrate, until the preferred way to eat it ­­– if not the only way to eat it – would be to cut fine slices from the joint and consume raw. It was a common household method to avoid waste and honour the whole animal. That was until the late 1700s, when along came the industrial revolution, swallowing up all kinds of rural traditions. Later, with the advent of modern preservation techniques such as fridges, curing meat was effectively obsolete insofar as its function for preserving. But here we are, in the midst of a cured meat revolution, spearheaded by butchers, farmers, and curious cooks who first took to hanging meat in their sheds and garages. John Doig was one of them. 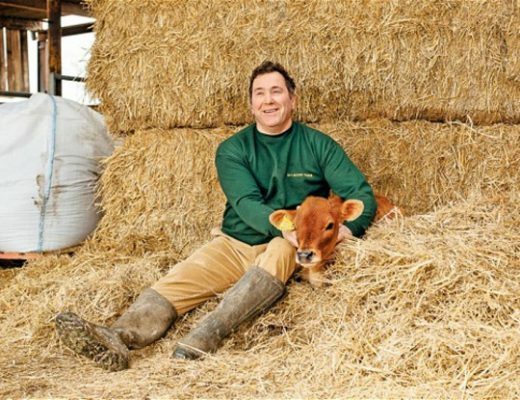 ‘I’d been raising these rare-breed pigs with kindness and affection and the assistance of my kids,’ says John. ‘And mistakenly believing chefs would be lining up at the front door to get our pork.’ Needing some way of turning a profit from the costs of raising rare-breed swine, John turned an old fridge into a drying chamber, and started making saucisson in his home garage in Moons Green in Kent. After a year of experimenting, it became clear he was onto something– when esteemed cured meat purveyors Cannon & Cannon started up, Moons Green was recruited as their very first supplier. John Doig and Jose Azevedo of Moons Green. 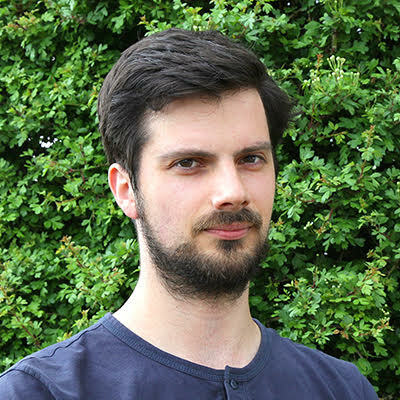 John was doing the right thing at the right time ­– the craft movement in other areas, such as that of beer, took off around 2010, helping popularise the idea that good food and drink is worth the price tag. Quite a turnaround, given how demand was (and largely still is) for the cheap and the cheaper. In such frugal circumstances a product like cured meat, the quality of which dependent on the animal’s quality of life (where subsequent expenses are passed onto the consumer), was never destined to succeed. James Smart, founder of The Real Cure. Impeccably reared meat, with particular attention paid towards ethics and sustainability, is part of what makes charcuterie the ultimate artisan product. Traditional pig breeds carry more intramuscular fat and less moisture, making them ideal for curing. But they also take longer to raise, need to be kept outdoors with space to roam, and on a diet of good quality feed – making them unsuitable for intensive farming. Mother’s Ruin sausage by Crown and Queue. Photo: Hung Quach II – Jet & Indigo. 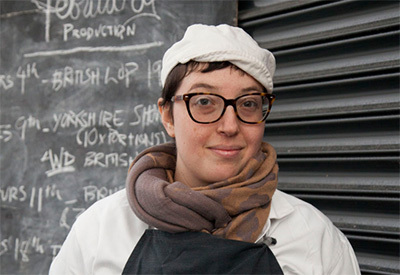 For Adrienne Eiser Treeby, founder of Crown & Queue Meats based in Bermondsey, sustainability is everything. 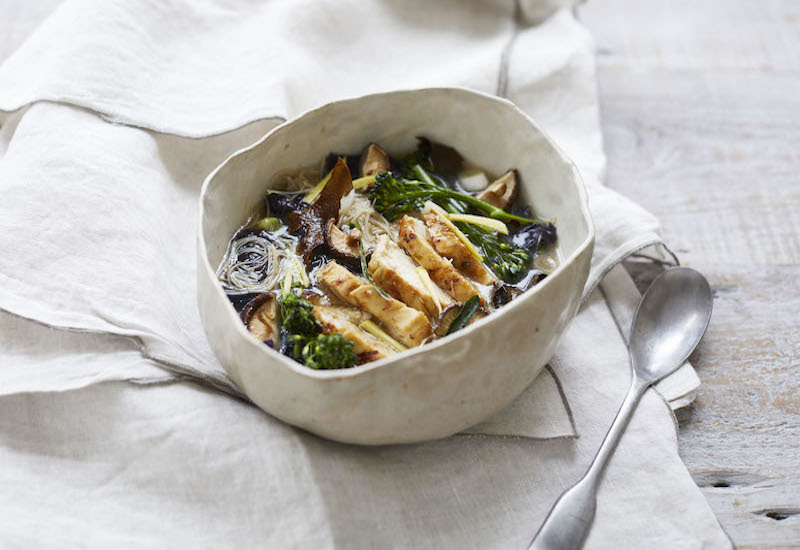 ‘One of my favourite things about the recipes I’ve built is that they transform the so-called nasty bits into things people are excited to eat,’ she says. 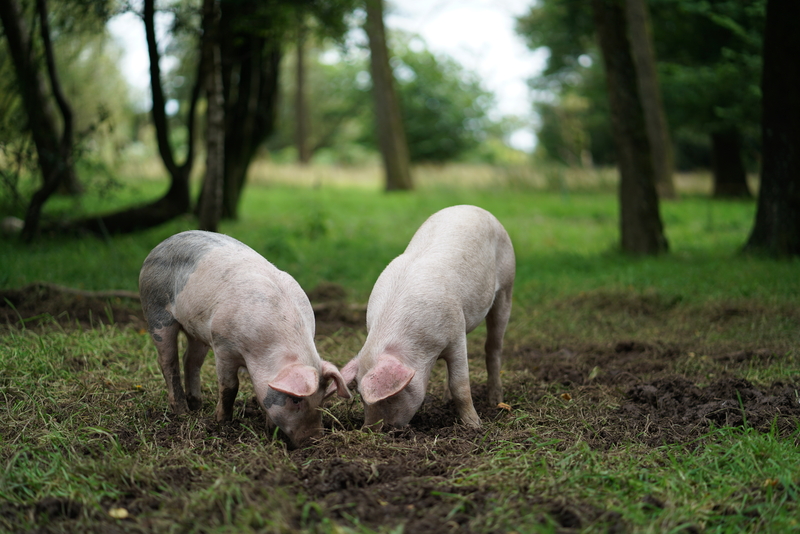 ‘Curing results in textures, colours, smells and tastes that delight the palate, even when the raw ingredients are a bit off putting.’ Adrienne also pays farmers a fair price, close to double what industrial charcutiers will pay for intensively farmed pigs. As a result, farmers can afford to take pride in what they do. Adrienne Eiser Treeby, founder of Crown & Queue Meats. These are a few of the developments Adrienne has been a part of since she started taking an interest in curing meat nine years ago. But while she says British charcuterie has progressed ‘immensely’ since then, she admits that, in some respects, it hasn’t come far enough. 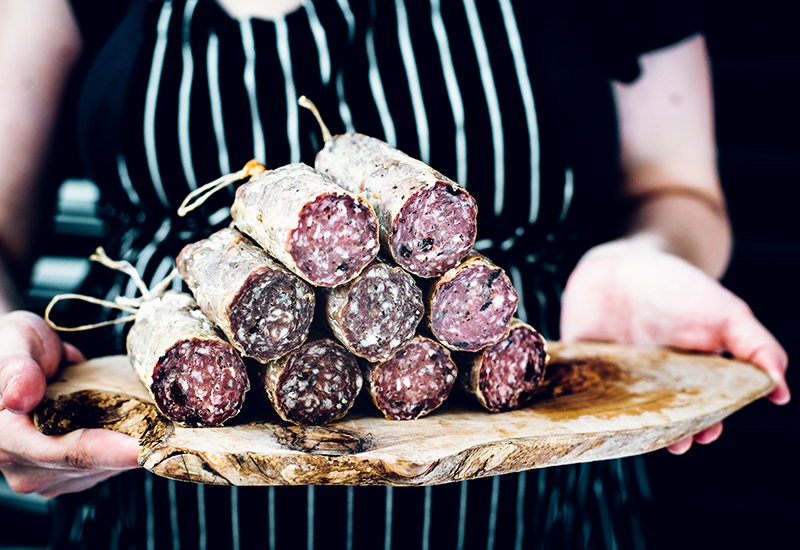 ‘The next step for British curing,’ she says, ‘is to embrace our native ingredients and recipes, and to embrace our own language regarding them.’ For example, Adrienne’s Snapdragon Sausage includes dried currants, nutmeg, black pepper and Somerset Apple Brandy. To be recognised both locally and internationally, British charcuterie needs to actually point to where it’s from. In other words, we should use terms like ‘sausage’ in lieu of ‘salami’ or ‘saucisson’. Shops for British charcuterie from Crown & Queue, The Real Cure and Moons Green and more at farmdrop.com. Got a taste for homegrown talent? 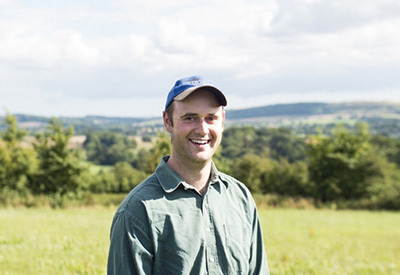 Meet the British winemakers winning international awards and florists backing British blooms. 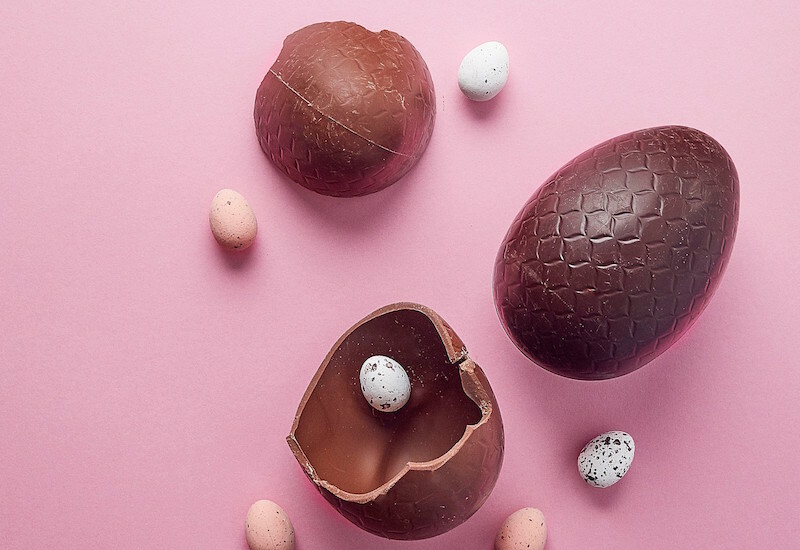 Discover how you’re saving our food system and find out why Farmdrop pays British farmers double what they get from supermarkets. Hugh is a food journalist. He has contributed to Great British Chefs, Foodism, and British Street Food, among others. He tweets @hughwrites.